General der Infanterie. Kommandeur der XXXII Heeresgruppe. Goslar, Friedhof Feldstrasse. Feld 23-Grab 25/26. Schack, Friedrich August, born 27-03-1892 Schmiedeburg on the river Netze, enlisted in the Army, 06-08-1914, as a volunteer in Hussar Regiment No. 1. In September 1915 he joined 195th Infantry Regiment as second leutnant. His rank became official 23-03-1914. Schack fought throughout World War I as a platoon leader, battalion and regimental adjutant. On 03-04-1918 Schack was transferred to the 1st West Prussian Infantry Regiment “Count Kleist von Nollendorf” No. 6. During the war he was awarded the Iron Cross 1st and 2nd Class and other medals. After the war he was transferred to the Reichswehr. In the so called transition army, spring 1920, Schack served in Reichsheer 9th Infantry Regiment. While helping to train 100.000 men he moved to the 8th Prussian Infantry Regiment , where in autumn 1921 he served as battalion adjutant. On 01-04-1923 Schack was promoted to first lieutenant. In spring 1924 and 1925 he belonged to the 12th MG (Maschinengewehr/machine gun) company of the 8th Russian Infantry Regiment in Görlitz. In spring 1926 and 1927 he moved to the 8th MG company of the 8th Prussian Infantry Regiment in Glogau. In the autumn Schack was appointed commander of 14th Company of the 8th Prussian Infantry Regiment in Lübben. As such, he was promoted to captain, on 01-04-1928. In 1928/29 Schack was appointed, for the next 5 years, commander of the 8th MG company of the 8th Prussian Infantry Regiment in Glogau. Finally Schack was shifted (1934) as a Major and tactics teacher to the war college in Dresden. There he became, on 01-10-1937, lieutenant colonel. On 1st October 1938 Schack was appointed commander of MG battalion 15, and fought in the Polish campaign at the outbreak of the Second World War, September 1939. On 18-01-1940 Schack was named commander of Infantry Regiment 392, which he led during the western campaign in spring 1940. On 1st October he was promoted to Oberst. In June 1941 Schack fought in Russia. For the capture of Salla, 24-07-1941, he was awarded the Knight’s Cross of the Iron Cross. On 01-10-1942 he became commander of the war College in Potsdam. On 07-05-1943 he became leader of the 216th Infantry-Division , he succeeded General of the Infanterie, Werner Freiherr von und zu Gilsa. Von Gilsa committed suicide age 56, on 08-05-1945. Von Gilza was appointed commander of the Berlin Guard Regiment on 15-10-1935. As such he became, in the summer of 1936, the commander of the Olympic village, replacing the demoted Wehrmacht Hauptmann, Wolfgang Fürstner. On 01-07-1943 Schack was promoted to Generalmajor and commander of the 216th Infantry Division. Schack led his division in bloody combat in Orel, July 1943, during the Battle of Kursk, and suffered heavy losses. Some of the surviving soldiers were sent to Belgium, where they became the 272nd Infantry-Division . On 15-12-1943 Schack was appointed commander of the division. 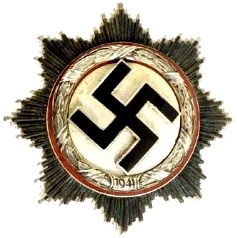 As such he was promoted, 01-01-1944, to Generalleutnant. For leading his division during the defense of Caen after D Day, Schack was awarded on 21-09-1944, the Knight’s Cross of the Iron Cross with Oak Leaves . However, Schack had sustained heavy losses during the battle and was suffering severe combat fatigue. On 04-09-1944 Schack became leader of the LXXXI Army Corps, five badly mauled divisions, charged with defending Aachen and the Siegfried Line. Schack’s superiors became dissatisfied with his performance and replaced him with General Friedrich Köchling. He died, age 70, on 06-06-1970. Beginning 15-11-1944 Schack led the LXXXV Army Corps in southern France and the Ardennes for one month. On 26-03-1945 Schack was assigned to the leader of the XXXII Army Corps, on the Oder near Stettin. On 20-04-1945 Schack was promoted to General of Infantry and Commanding General of the XXXII Army Corps. At war’s end the Allies imprisoned him. They released him 24-03-1948. Death and burial ground of Schack, Friedrich August.
. Generaloberst der Panzertruppe, Oberbefehler B 2nd Panzer Armee, Heinz Wilhelm Guderian and his sons are buried on the general cemetery of Goslar, as well the SS Obergruppenführer, Reichsminister of Food and Agriculture, Walther Darré.